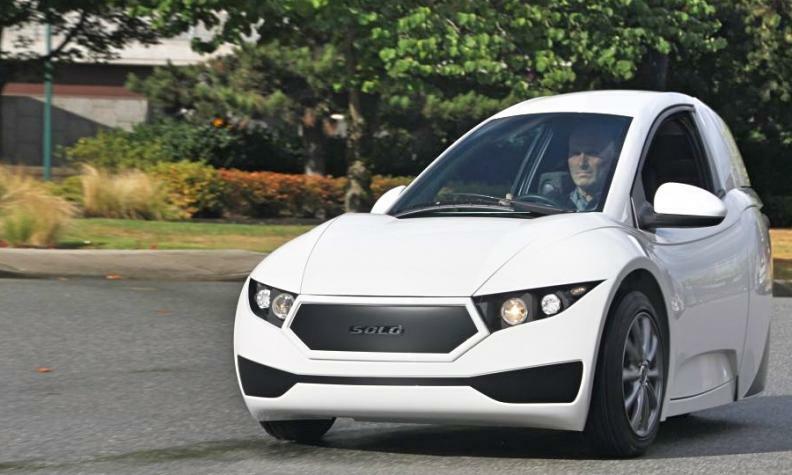 VANCOUVER – Electra Meccanica Vehicles Corp. reports it has won long-awaited U.S. certification of its Solo single-seat electric vehicle and its first unit has been sent to an unidentified customer in Los Angeles. Until now, the Vancouver-based EV maker’s first product has been limited to sales within British Columbia while it awaited wider Canadian and U.S. certification for road use. Electra Meccanica, which trades on the U.S. over-the-counter stock market as ECCTF, launched the Solo last fall. With an asking price of about C$20,000, the three-wheeled commuter car offers 160-kilometre range at freeway speeds. It is also developing a two-seat sports model called the Tofino and the Super Solo, which will offer longer range and higher top speeds. The company currently builds a handful of Solos each month at its Vancouver facility but last fall signed a contract with the motorcycle builder Zongshen to produce 75,000 Solos in China starting later this year. Electra Meccanica says it expects to ship 75,000 Solos to the U.S. market over three years beginning this September. Customers currently can reserve a vehicle with a C$250 deposit. The company remains very much in startup mode, reporting a net and comprehensive loss of more than US$11 million last year, up from almost US$9 million in 2016, according to filings to the U.S. Securities and Exchange Commission.